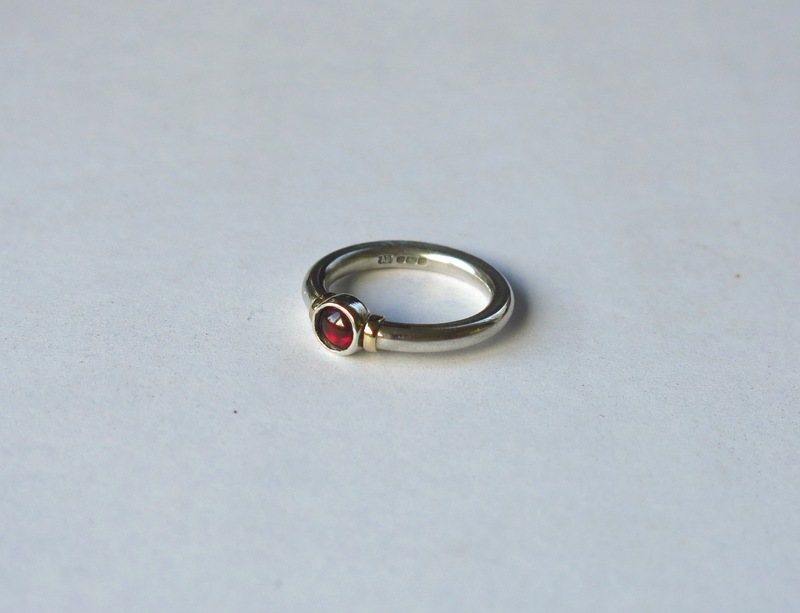 Rings are the one piece of jewellery most people are happy to wear! 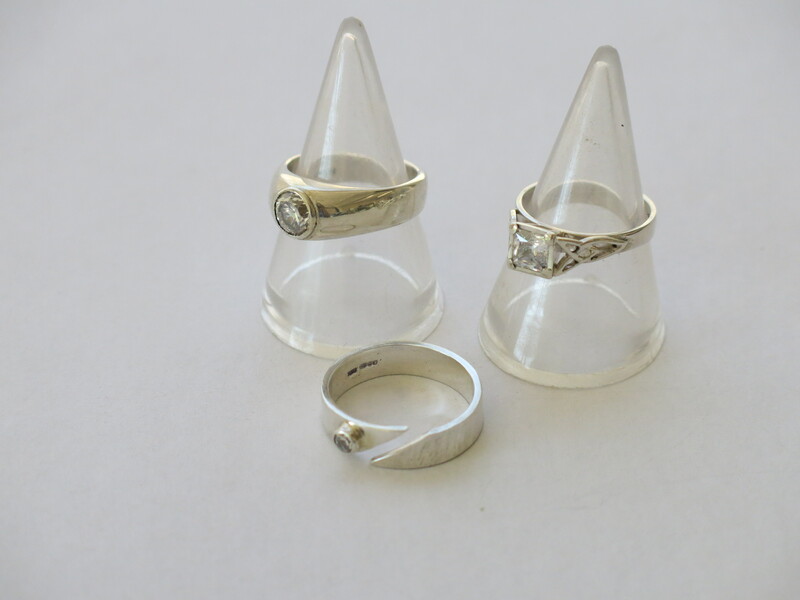 So if you’re looking for a chunky hard wearing everyday ring, a set of matching wedding rings or an intricate ring for those special occasions, we can find something to suit. 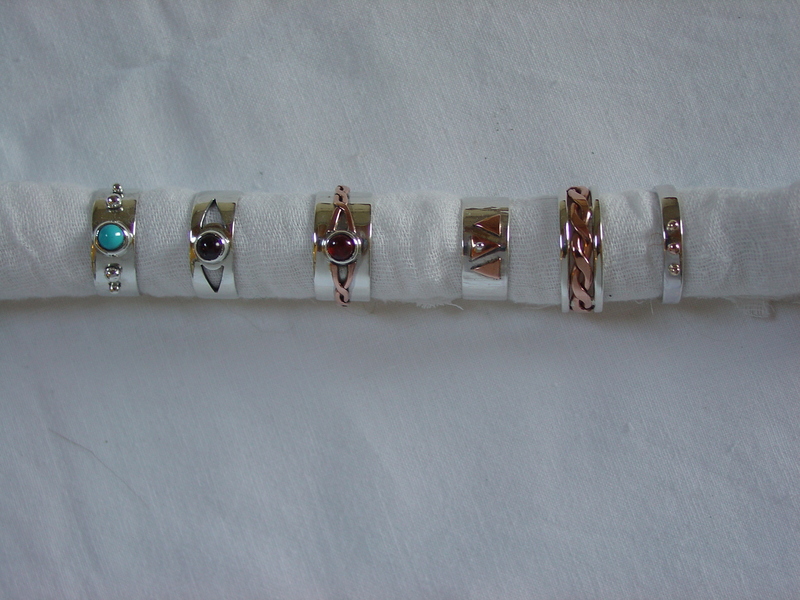 I could fill pages with various ring designs so below is just a small selection of stock and commissioned rings, so if you see something that’s almost right, do contact me and I can mail you more images -or of course design something especially for you! All ring designs can be repeated (except some commissioned pieces or if you specifically ask for your special design not to be repeated!) 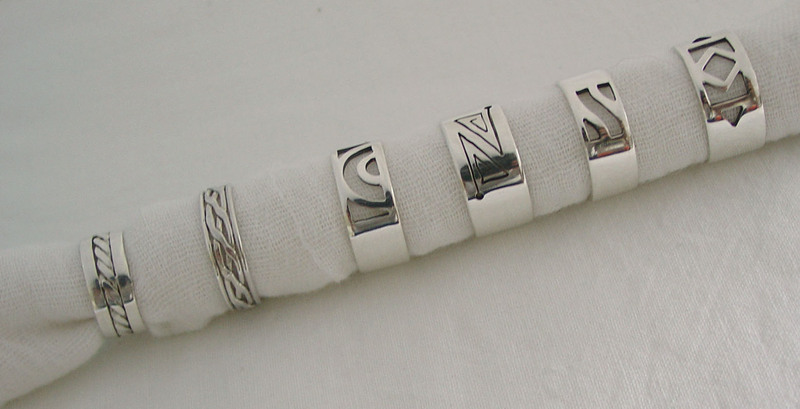 and made up in any metal, combination of metals or with the stone of your choice. 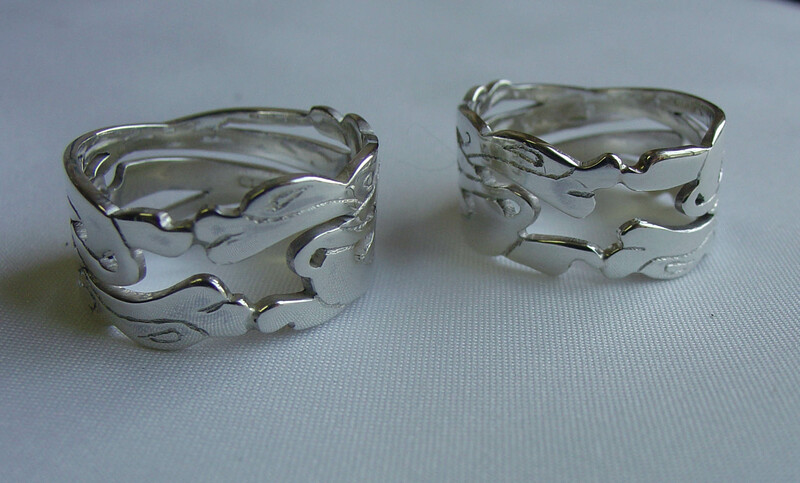 Rings, including wedding rings, can be made custom made or made to your own design and made to any size. 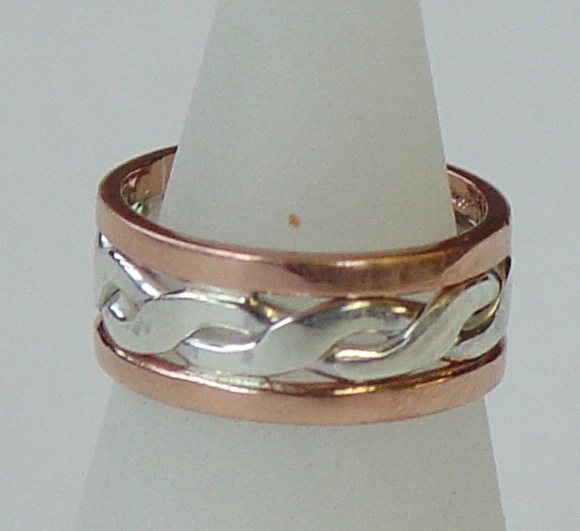 9ct rose gold 3 twist and 2 twist centre with 9ct yellow gold outside bands. Made to order in any combination of golds or with platinum or silver. 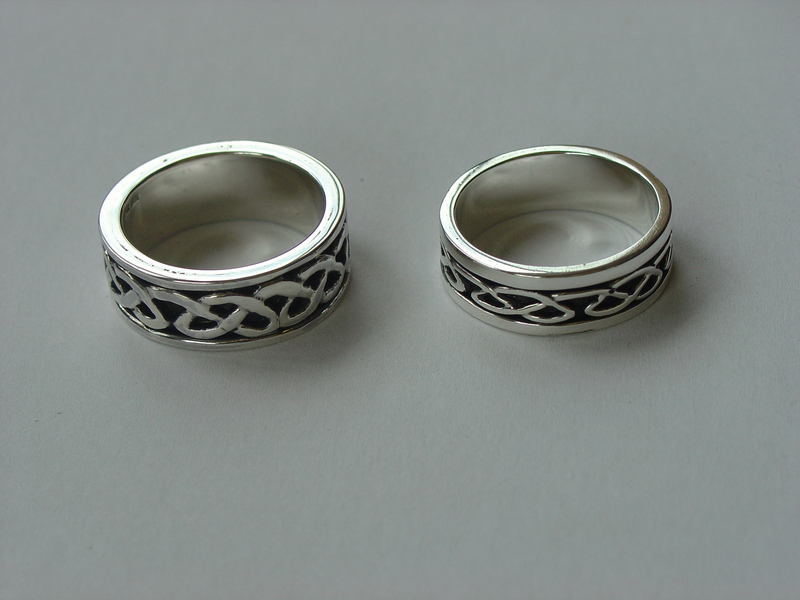 Pair of silver rings with knot-work hand-cut in silver sheet and backed with silver band and silver edging. Commissioned pieces. 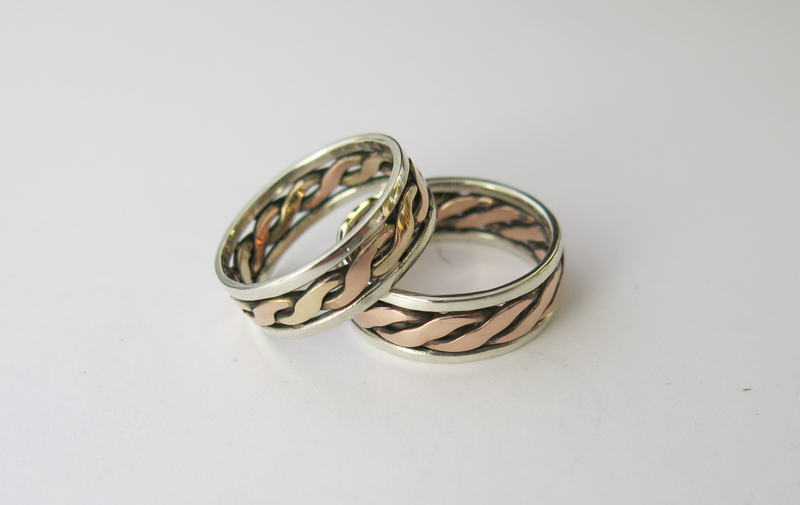 Similar rings are available with moving centre band in twisted wire. 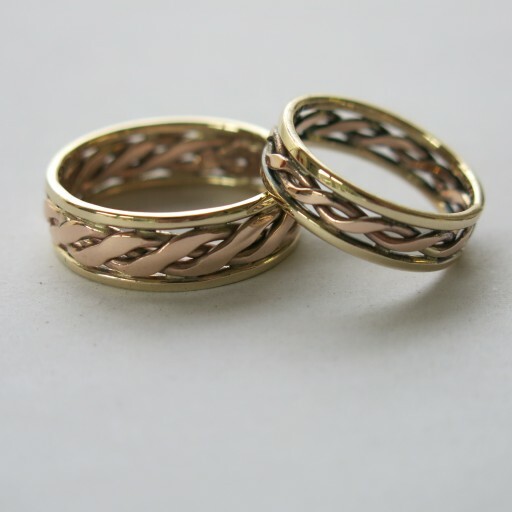 9ct yellow gold 2 and 3 twist centres with 9ct white gold outside bands. Made to order in any combination of golds or with platinum or silver. 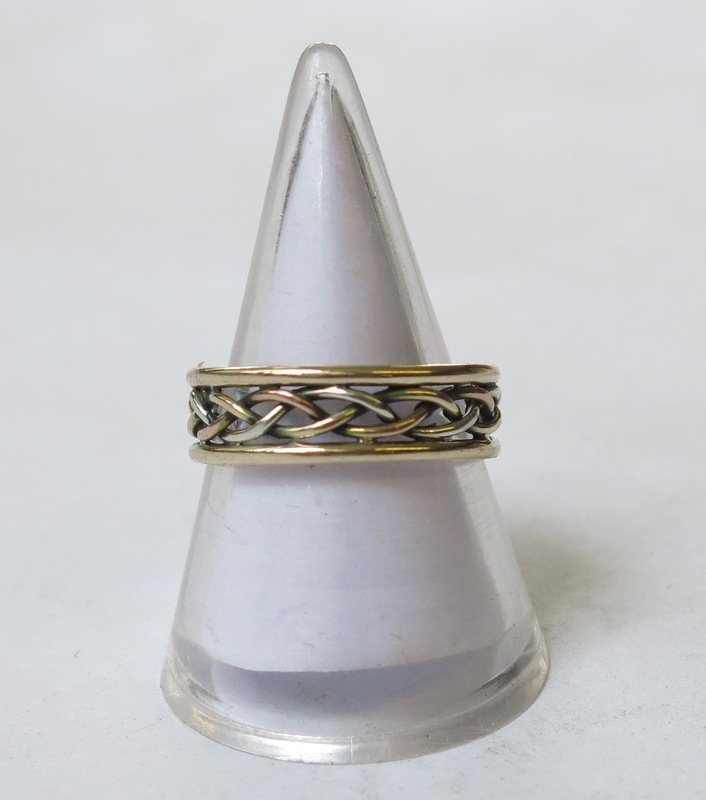 Yellow, rose and white gold plaited wire ring edged with yellow gold. 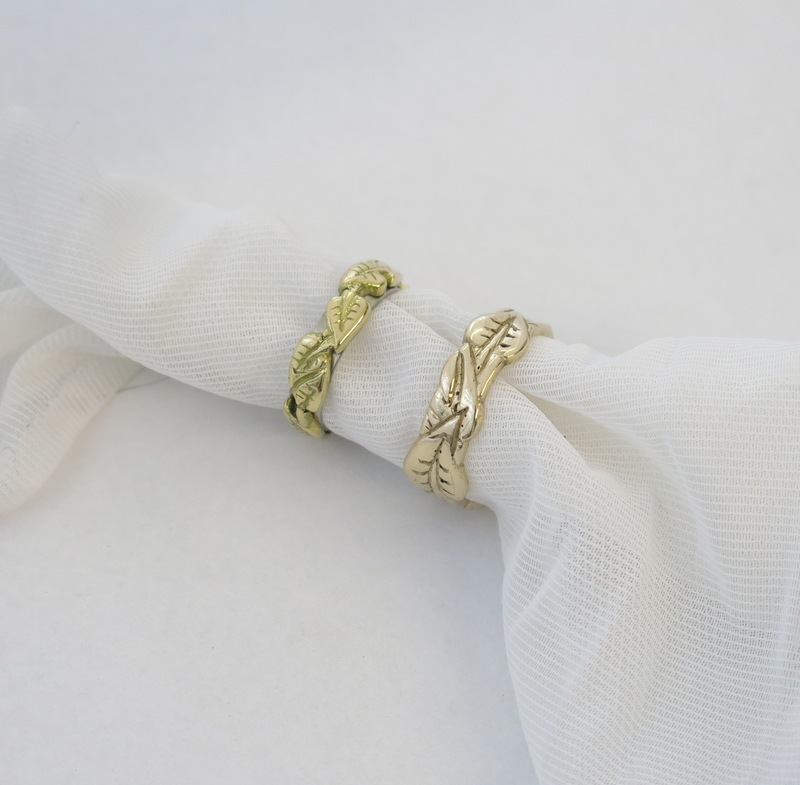 Pair of gold wedding rings made up of leaf designs in yellow gold, smaller ring lined with white gold to show through leaves and match engagement ring. Commissioned pieces. 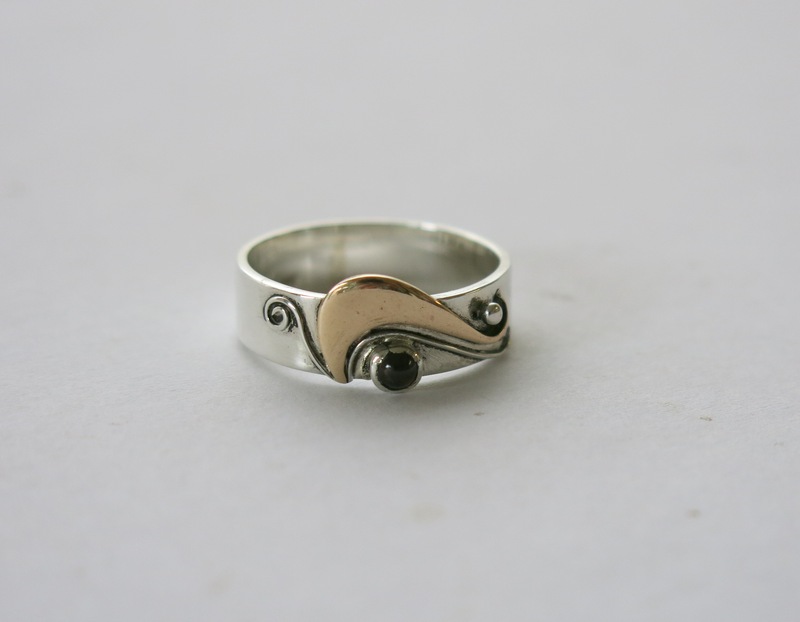 Wide flat band in silver with layered brass and silver wire wave design set wit 3mm garnet. Available with gold or copper design and choice of stone. 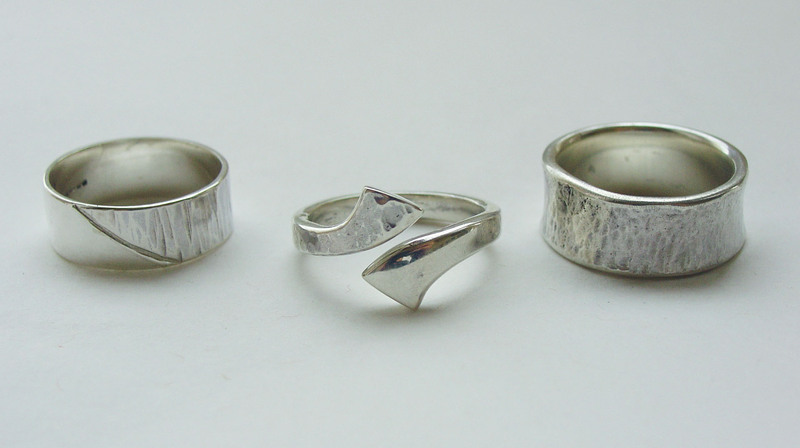 Silver rings with layered gold design in sheet and wire, centre ring as next image. Also available with copper and brass design. Textured d-shape silver band with gold ball details in yellow and rose gold, chunky section ring set with amber and with rose and yellow gold balls. 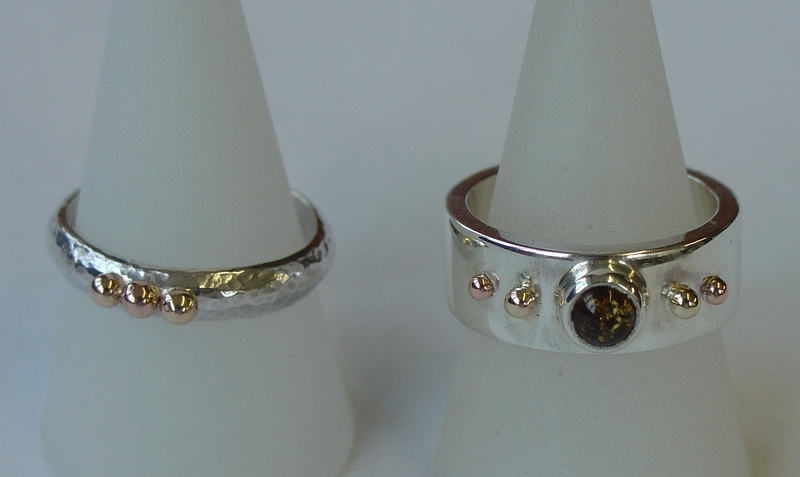 Rounded silver band with 9ct gold and set with 5mm garnet. 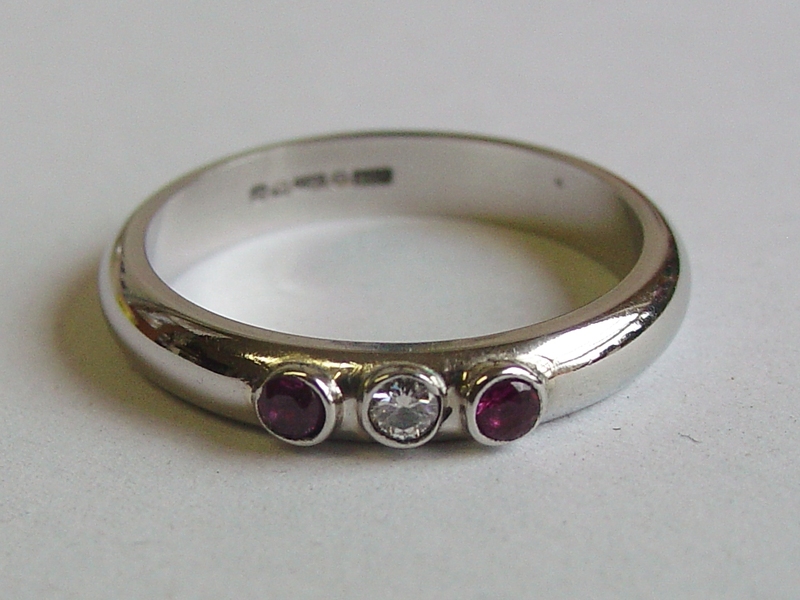 D-shape platinum ring set with central diamond and two pink sapphires, Commissioned piece. 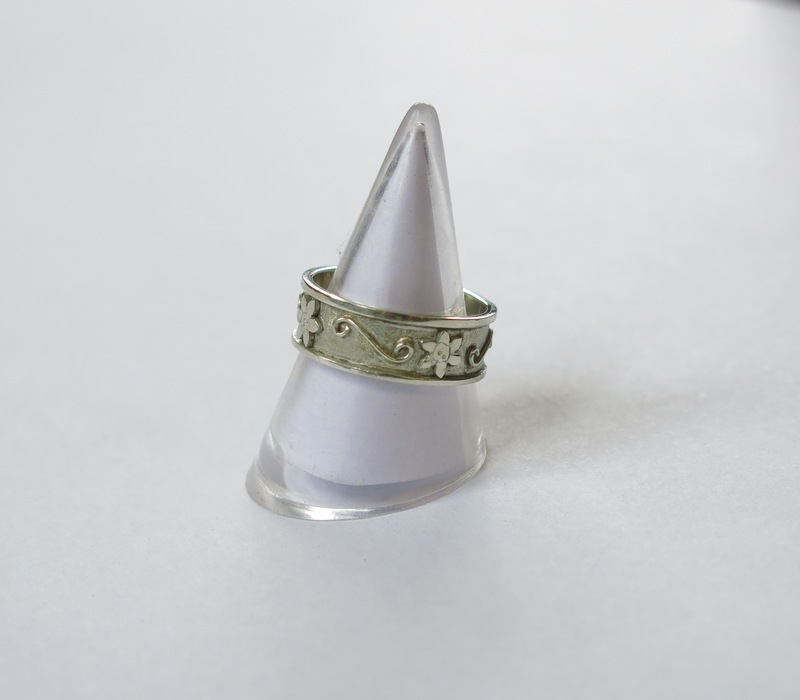 9ct white gold ring with layered flower design and wire scroll detail, edged with gold bands. Commissioned piece. 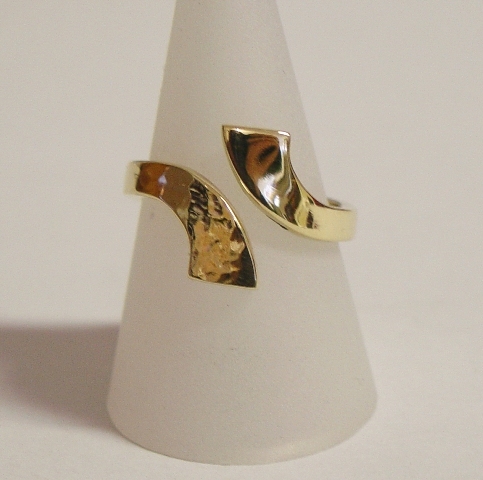 Silver ring with layered triangle design in copper, silver ring with yellow gold triangle design and rose gold central bead. 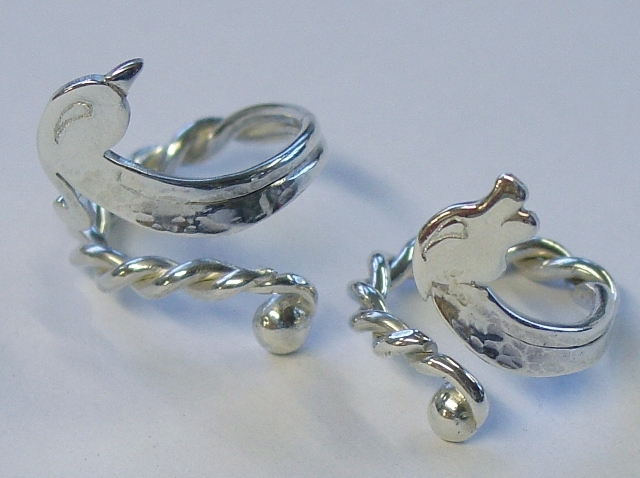 Silver animal and bird open rings with sheet heads into twisted wire bodies with silver ball ends. 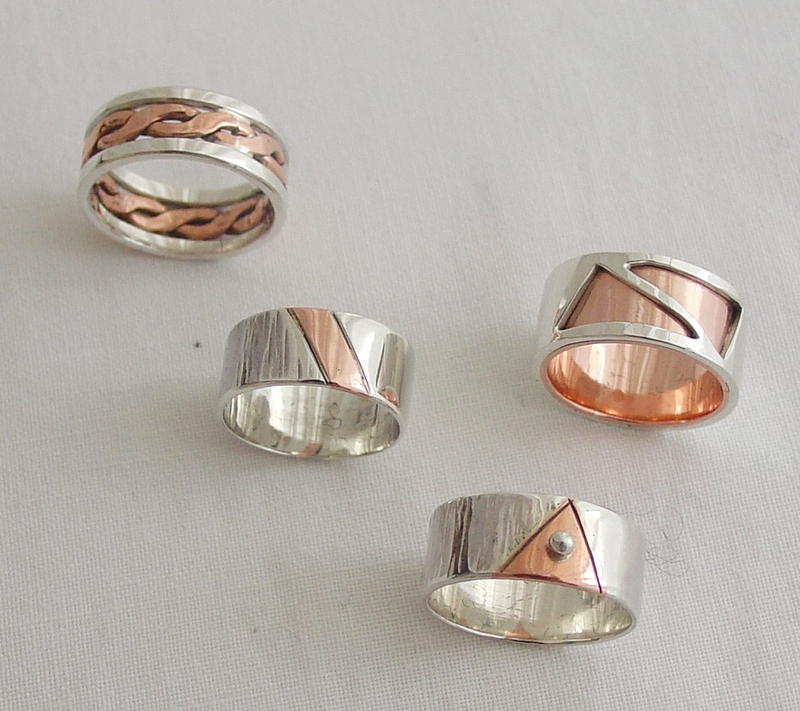 Selection of silver rings with cut through designs and twisted wire banding. 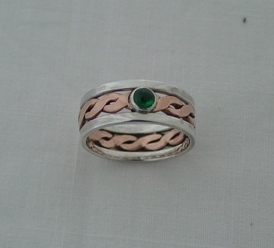 Copper twisted centre edged with silver bands and set with emerald. 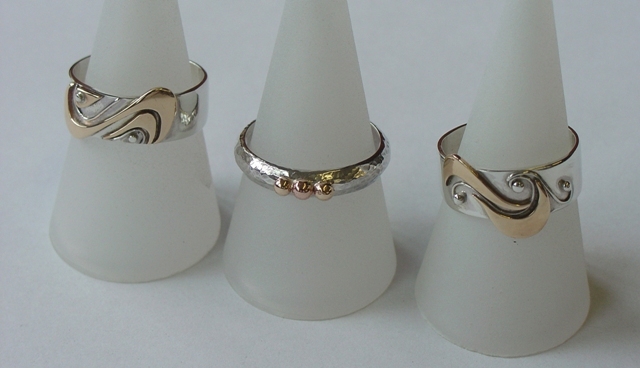 Available to order in rose, white or yellow gold or platinum with choice of stone. 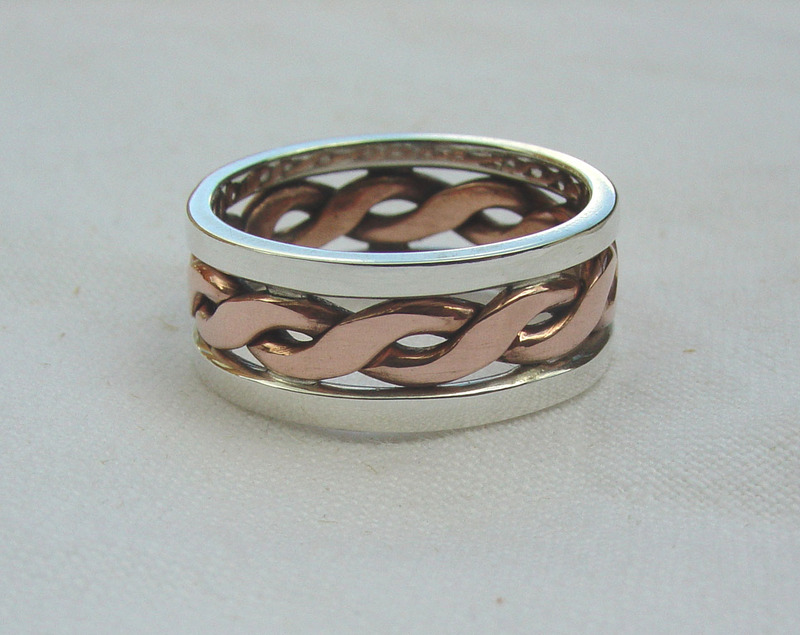 Silver twisted centre edged with copper. Also available im mixture of golds or with platinum. 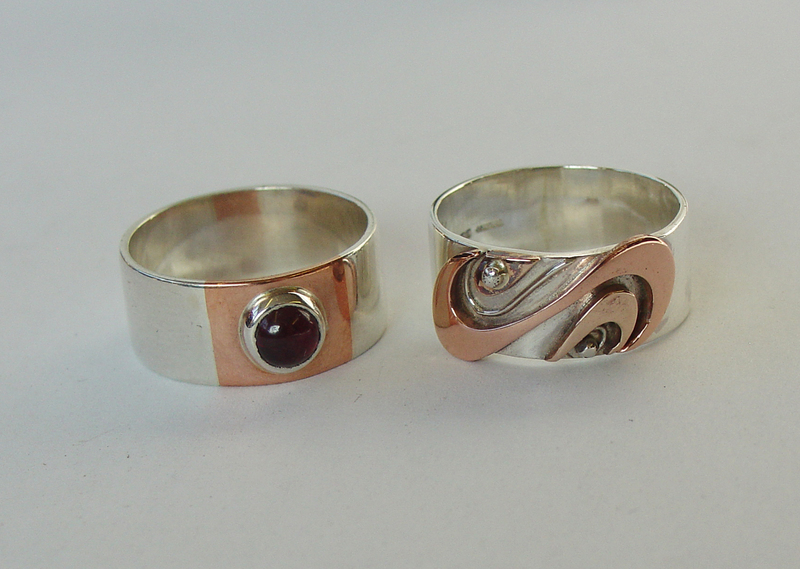 Silver ring with copper inset set with garnet, silver ring with layered wave design in copper and wire.